Russian Imperial Badge of the State Militia during the reign of Emperor Nicholas II + Document. 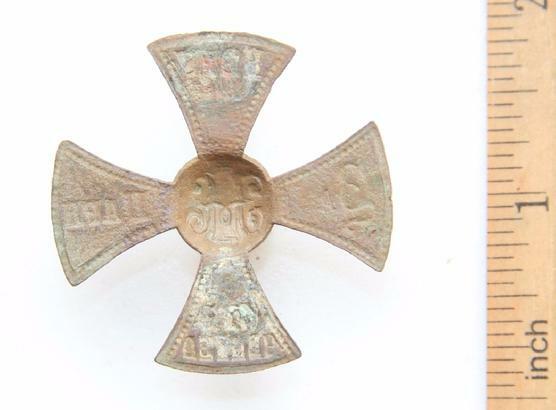 The light bronze color badge, with raised cypher of Emperor Nicholas II, beneath the Imperial crown. 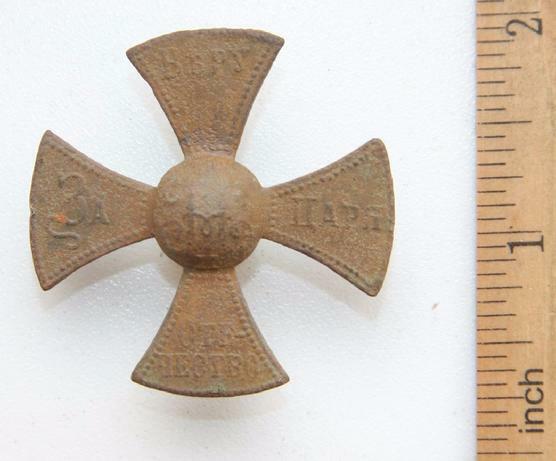 Original in good condition, Militia hat cross, color slightly fainted. Two suspention rings is missing on the back. 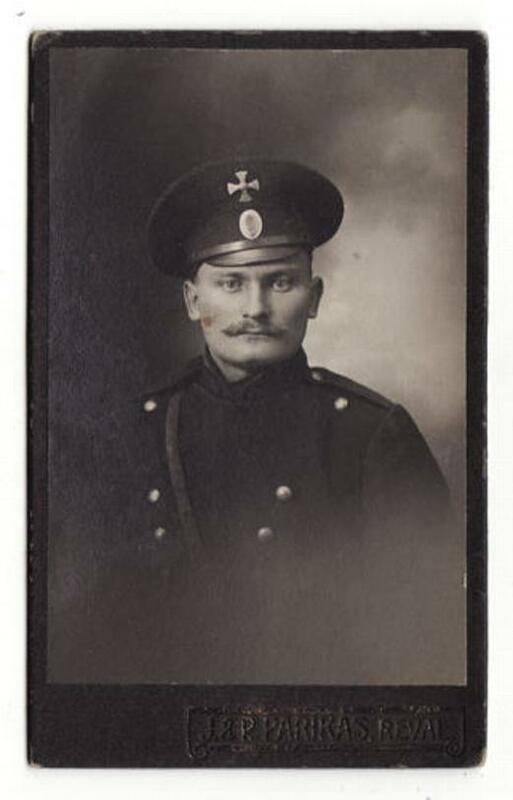 Great rare Russian Imperial Soldier's CERTIFICATE-ID (military record-soldier book) . This books number is 12340 it was started in year 1907. Soldier name: Bondarchuck Onofriy Feodoseevich. Book is made up of 12 pages and a pink cover. Historical value of this book is that it gives information about rules of serving in Russian Imperial Army during Czar Nicholas-II. Also the book has all the information on soldiers time in army that are signed and stamped by his officers. All documents in this book are original during years of 1907 and going into years of WWI 1916. This book is not only a soldiers book, but a part of Russian Imperial history.